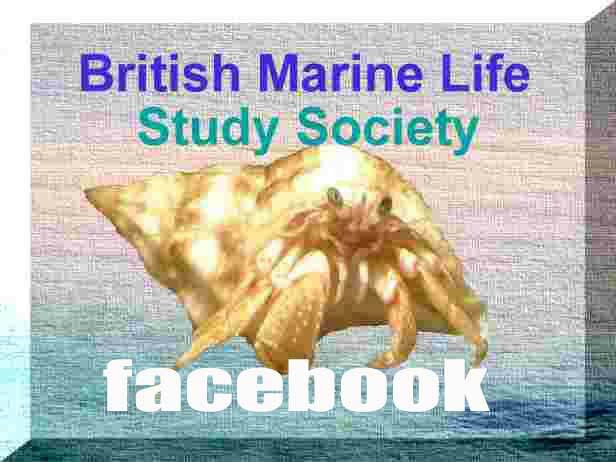 Birkbeck Institute of Environment, University of London in conjunction with the Ecology and Conservation Studies Society. 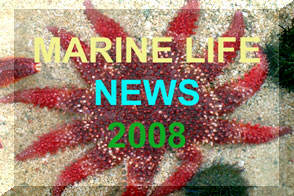 23 mature Grey Triggerfish, Balistes capriscus, were washed up dead on Porthcurnow Beach in Cornwall in the afternoon. An unprecedented stranding of over a hundred jellyfish Rhizostoma octopus were discovered on the beach at Formby, north Liverpool. "The jellyfish were literally uncountable - we walked about a mile along the beach and they stretched the whole way and out of sight. They were all more than 60 cm in diameter. 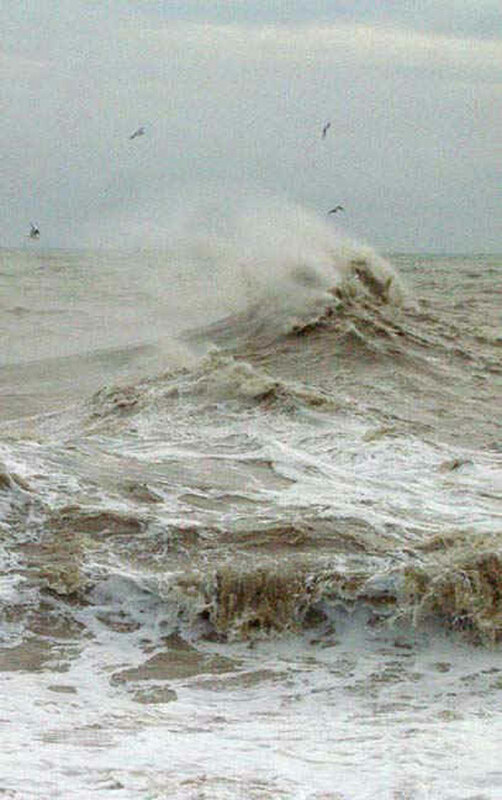 The previous high tide was accompanied by a moderate wind but nothing exceptional, and it was not particularly high." Two days later, almost all the jellyfish had disappeared with just a few seen stranded on the shore. 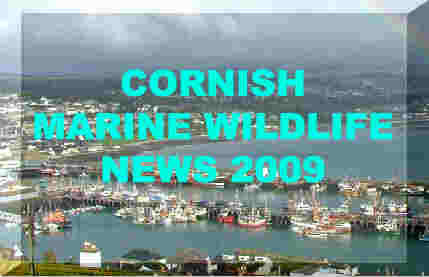 Guernsey commercial fisherman Peter Merrien landed an Atlantic Bonito, Sarda sarda, which is a member of the tuna family, Scombridae. It had a total weight of 1716 grams, a total length of 53.7 cm and a fork length of 50.8 cm. 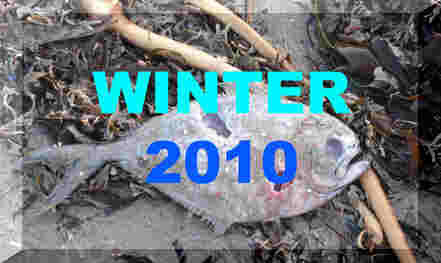 A Grey Triggerfish, Balistes capriscus, was photographed washed up dead on the shore at Ceibwr, North Pembrokeshire, SW Wales. 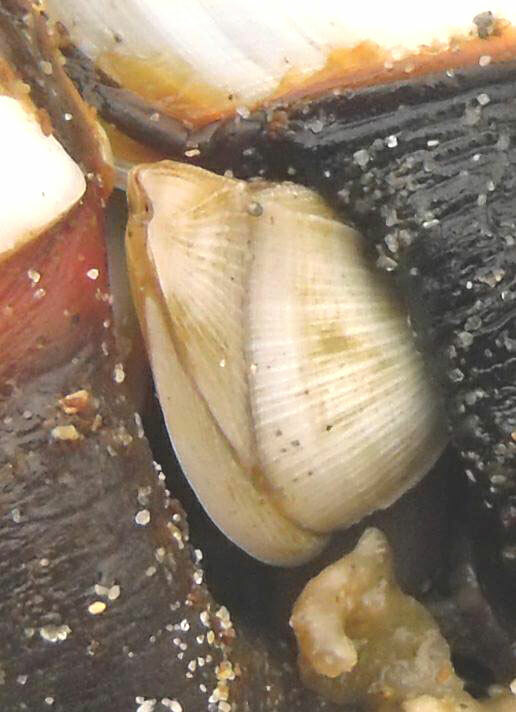 At least three species of Stalked Barnacles, Lepas hilli, Lepas pectinata and Lepas anatifera were discovered on the high tide mark at Long Rock, Penzance, Cornwall. 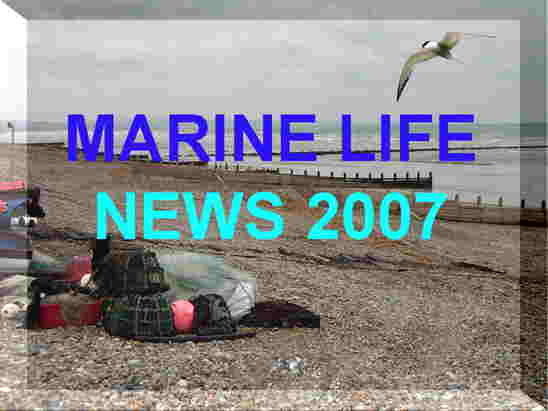 Strong south-westerly winds had washed ashore a large plastic lid that the animals were attached to. 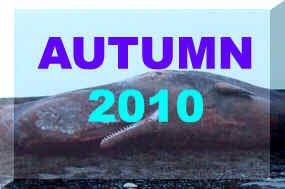 This is a pelagic tropical-sub-tropical species that is blown to the UK shores on flotsam via the Gulf Stream. 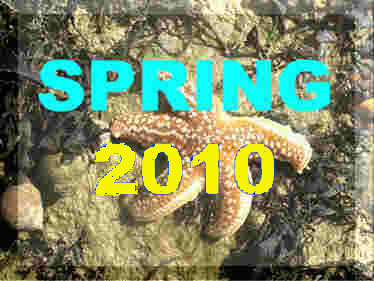 British seas are too cold for these species to survive and breed. A pod of at least 24 Long-finned Pilot Whales, Globicephala melas, swam into Loch Carnon, South Uist, Outer Hebrides, Scotland. It is unusual* for these cetaceans to swim so close to the eastern shore of the Western Isles. 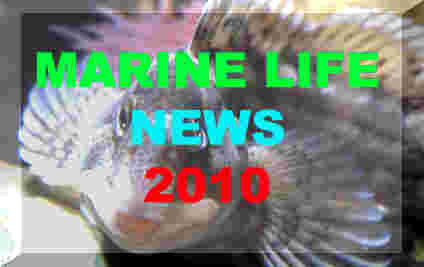 The increasing narrowness of the loch meant that there was a possibility of the pod becoming stranded on the shores of the loch, so the Stornoway Coastguard called in the British Divers Marine Life Rescue (BDMLR) and other experts. When the whales were in danger of heading towards the head of the loch, local fish farmers took their boats and having formed a ‘U’ shape behind them, slowly guided them back out past Cornan Pier where they were safe from stranding in deeper water 400 metres offshore. Postscript: The whales did return to sea but 35+ whales, thought to be the same group, were discovered dead on a Rutland Island beach and nearby in County Donegal, Ireland, on 7 November 2010. A Ray's Bream, Brama brama, swam ashore at Immingham Wall at Bay 28 on the River Humber just before high tide at 1:30 pm. 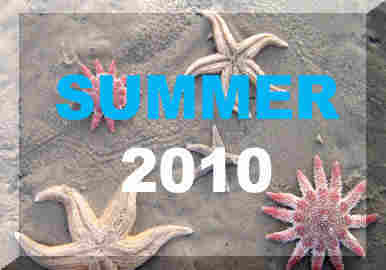 This was the first report received for the colder months of 2010. Gary Crane received a shock when he landed a 4.95 kg (10 lb 14 oz 11 dram) female Marbled Electric Ray, Torpedo marmorata, on Richard Seager’s ‘Out of Blue‘, while fishing about three miles to the east of Sark, Channel Islands in the English Channel. The electric ray had a total length of 58.6 cm and a disc width of 41.5 cm. 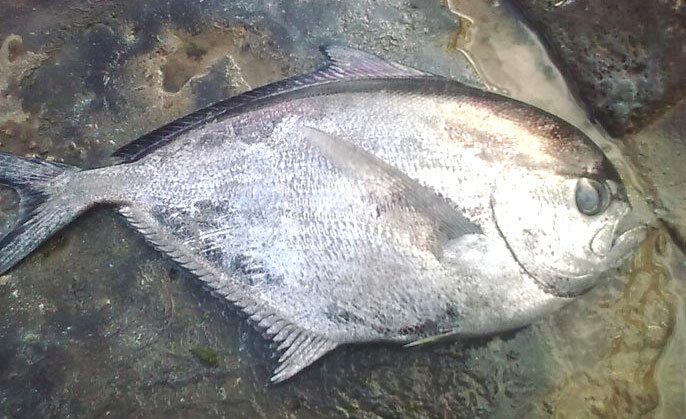 It took a whole Black Bream, Spondyliosoma cantharus, presented as bait. An unusual sighting of six, possibly seven Sperm Whales, Physeter macrocephalus, were spotted by Sea Watch Regional Coordinator, Alan Airey at Burghead looking out to the Moray Firth. 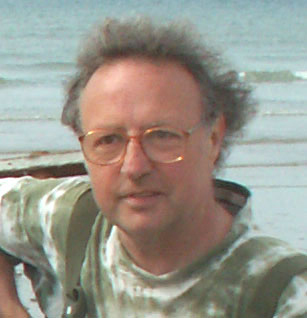 Alan spotted the mammals with his scope originally six kilometres offshore but the animals came within three kilometres of the coast and could be seen with the naked eye. These animals were spotted just before midday and stayed in area for most of the day. A Tadpole Fish, Raniceps raninus, was discovered washed up at Freshwater West Beach, Pembrokeshire.